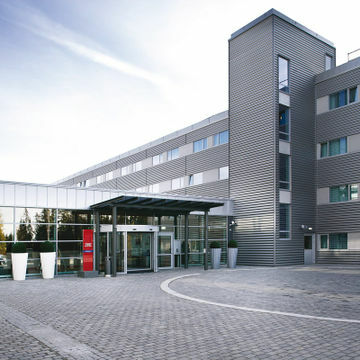 A good choice of hotel, ideal for links to the airport. 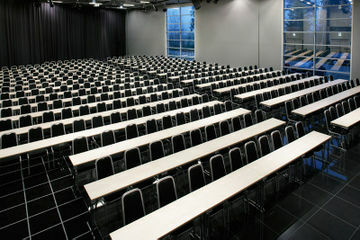 Hotel is situated approximately 5 minutes drive from Oslo airport. There is a shuttle bus (at a charge) from the airport to the hotel which leaves regularly. 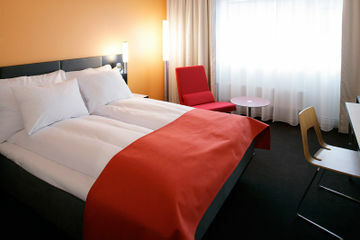 The rooms are medium in size and modern in style with all facilities expected from a 4 star hotel. 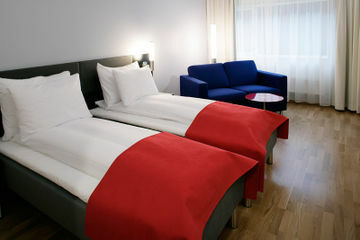 All rooms have a kettle to make tea or coffee, iron board, mini bar, flatscreen TV and wireless Internet at a charge. Modern grey building. 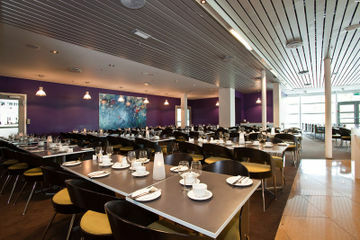 The hotel has a modern a la carte restaurant with a varied menu. The lobby is spacious and has been decorated in modern Scandinavian style.